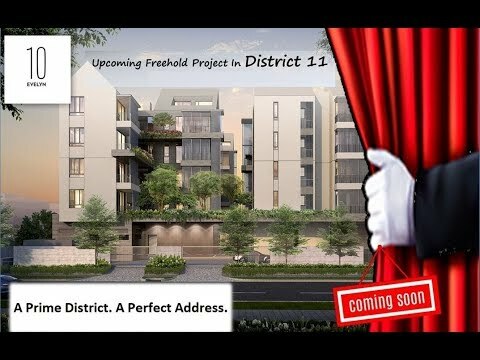 Development 4 blocks of 5 storey with attic residential flats development with basement carparks, swimming pool and communal facilities. Tucked away, yet in the heart of it all. That’s 10 Evelyn, a modern yet lush 56-unit freehold development in Newton. several top primary and secondary schools and some of Singapore’s best healthcare services. 10 Evelyn is designed to offer residents the intimacy and lush tranquillity of a village, with seamless connectivity and exquisite modern touches of luxury living. 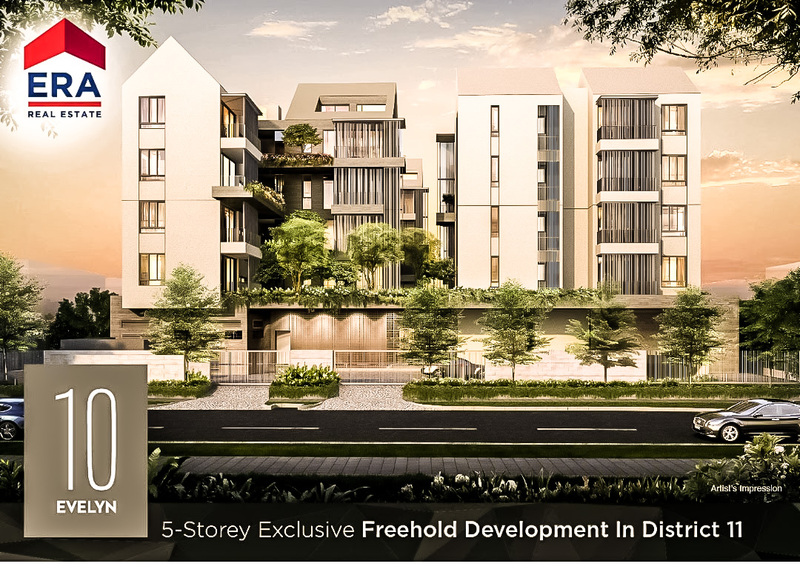 10 Evelyn is a brand new freehold residential development located at 10 Evelyn Road in District 11. 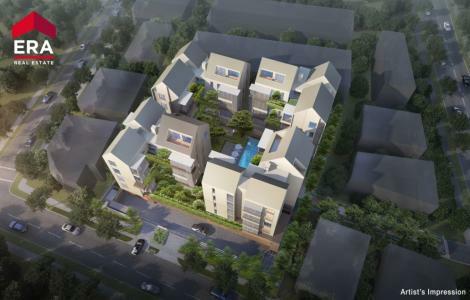 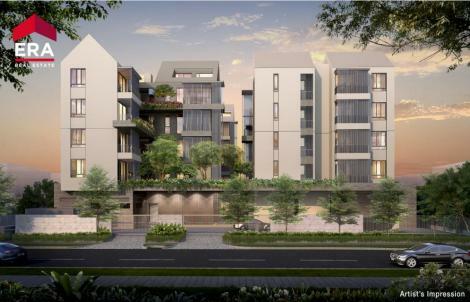 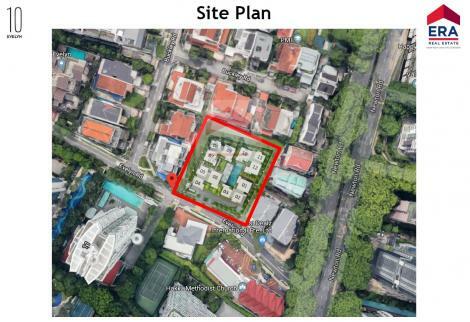 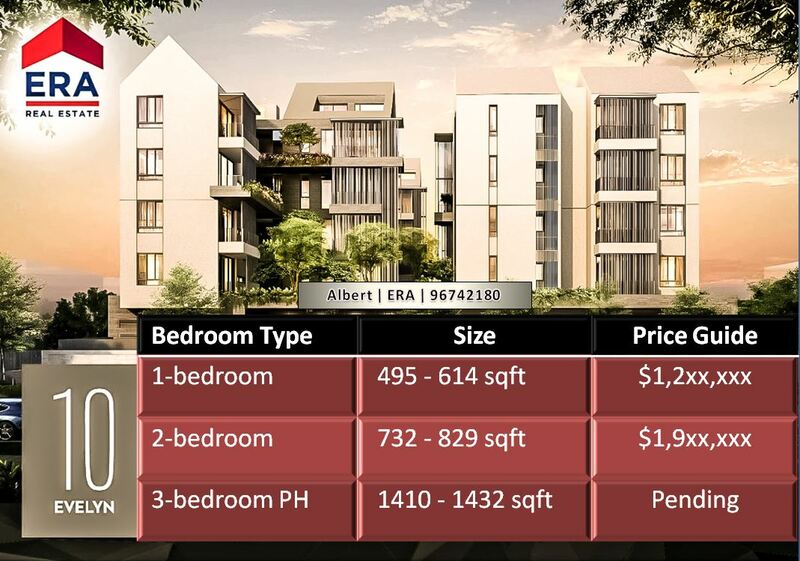 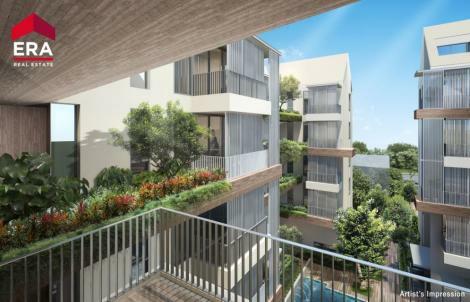 This development consists of 5-storey condo blocks with 56 units in total. 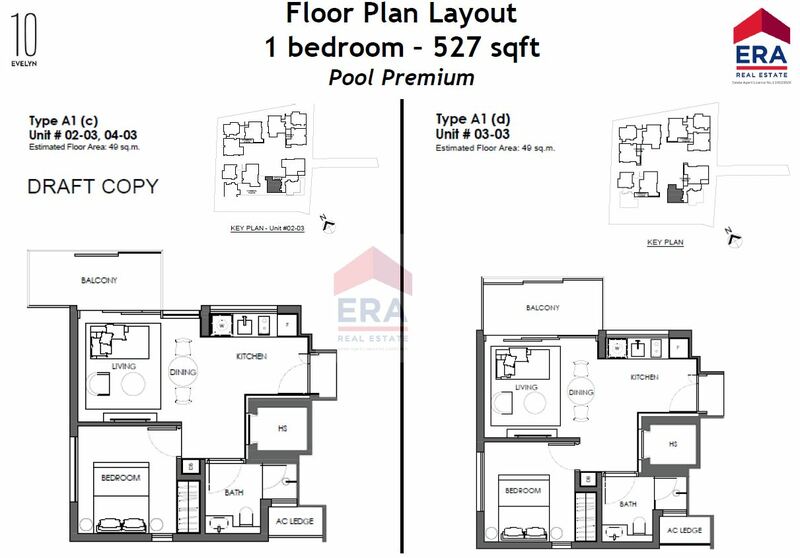 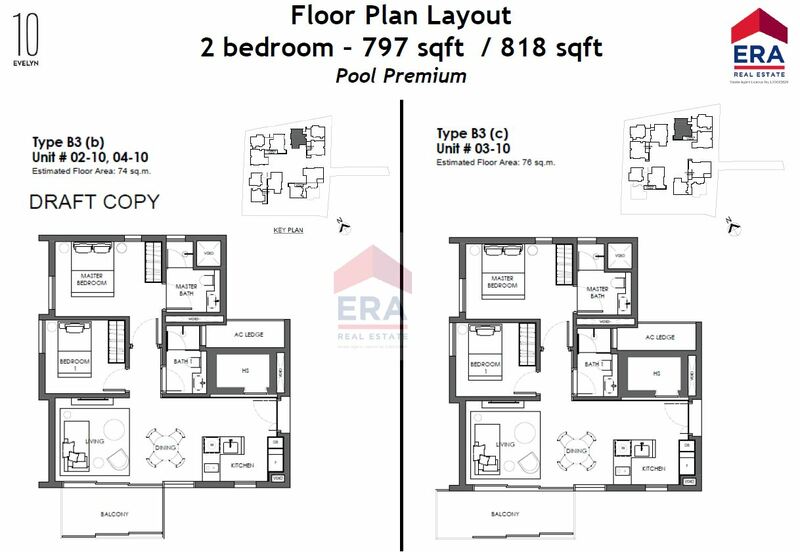 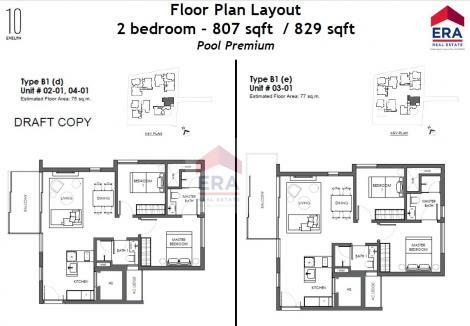 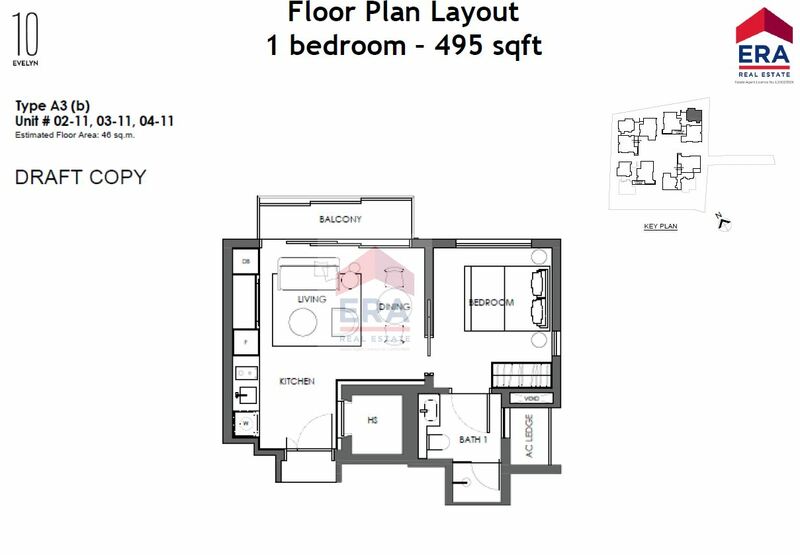 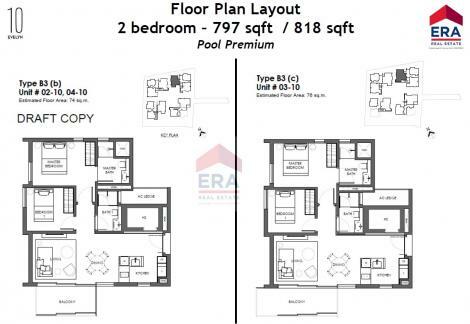 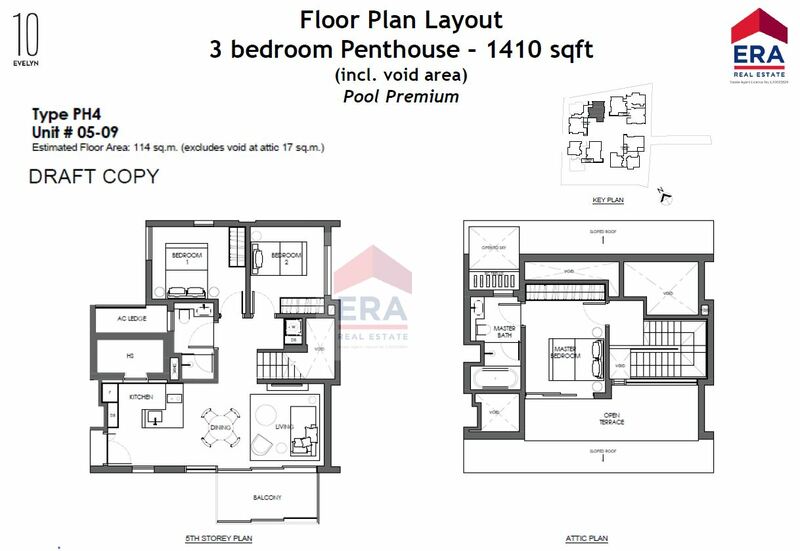 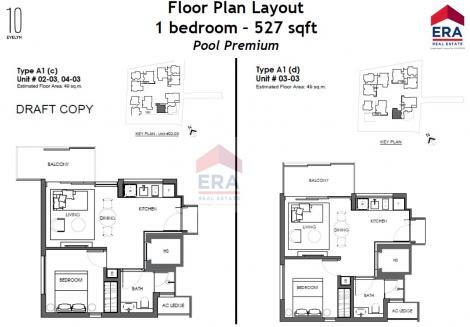 Size ranging from 495 sqft to 1,432 sqft; with 1-bedroom to 3-bedrooms type. 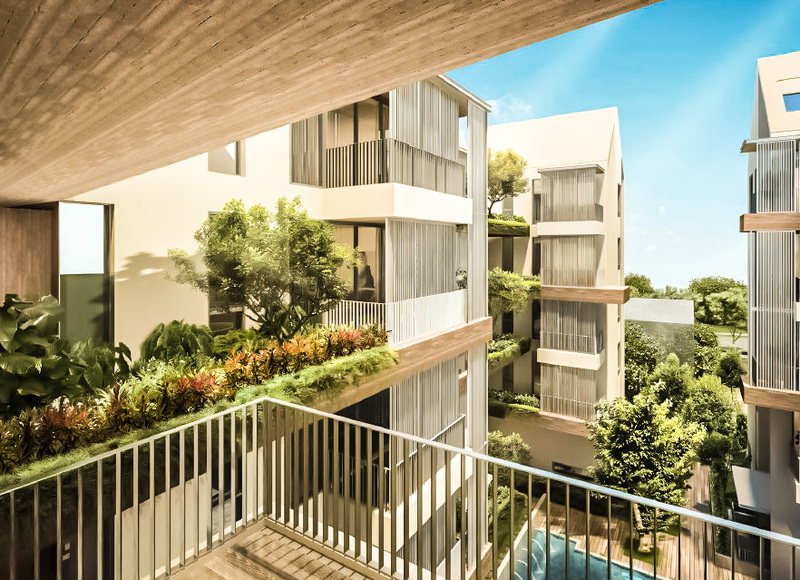 Lush greenery abounds everywhere, with all four residential blocks embellished with terracotta-stained vertical gardens bursting with gorgeous flora. 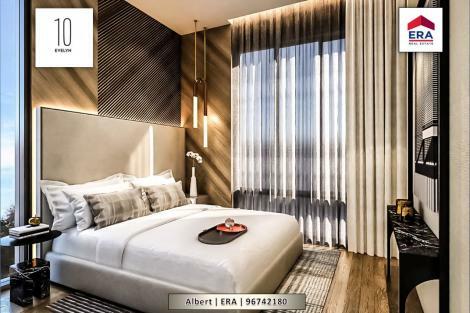 These unique, elevated planters form an eye-catching geometric design that at once feels modern yet organic. 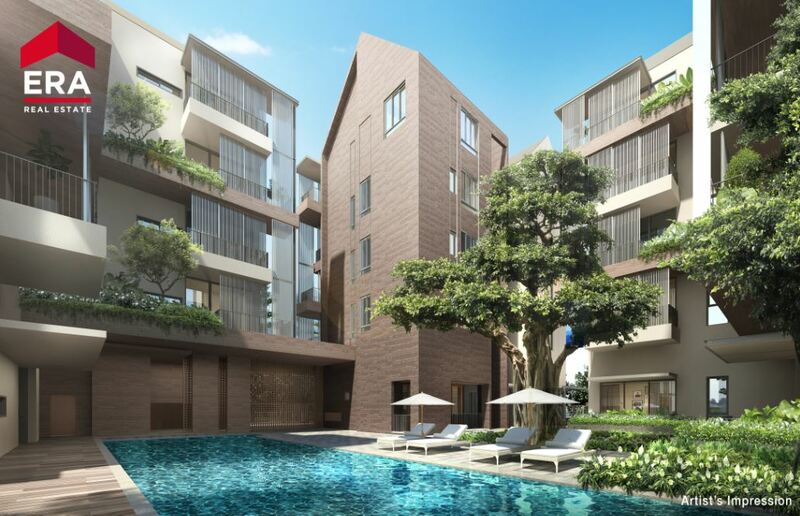 The courtyard also boasts an effusion of dense planting — a tropical garden oasis in the heart of the city. 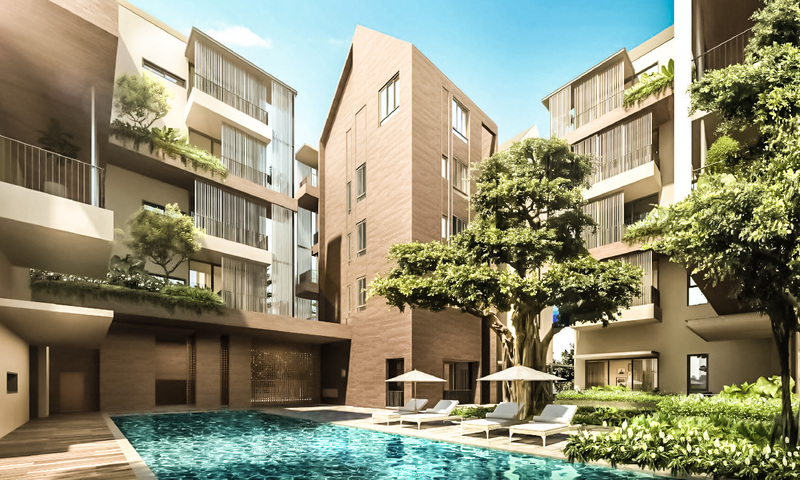 The courtyard is a tranquil shared space with a sparkling swimming pool, pool decks complete with sumptuous sun-loungers and shady umbrellas, and abundant greenery. 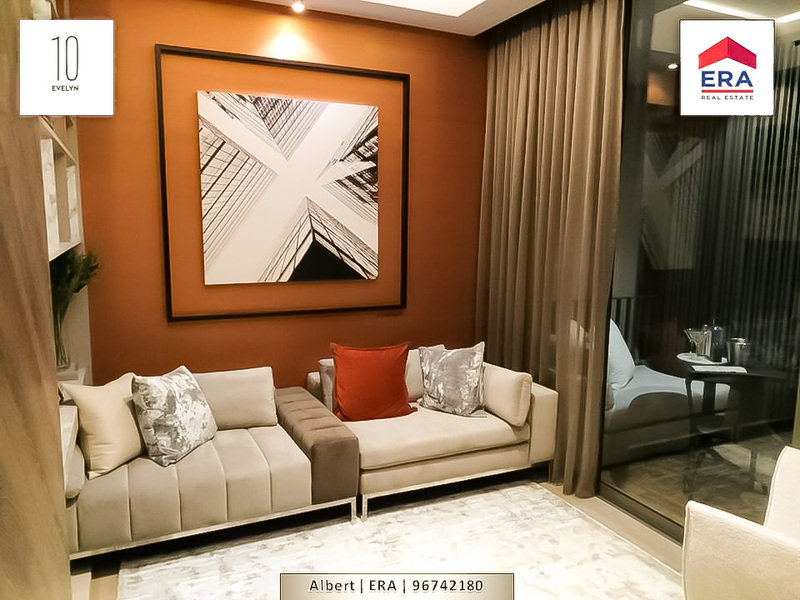 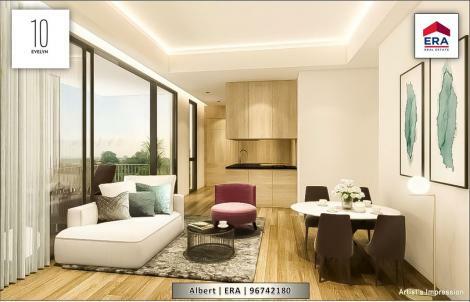 Quietly luxurious with all the tasteful, modern comforts you would want in your home. 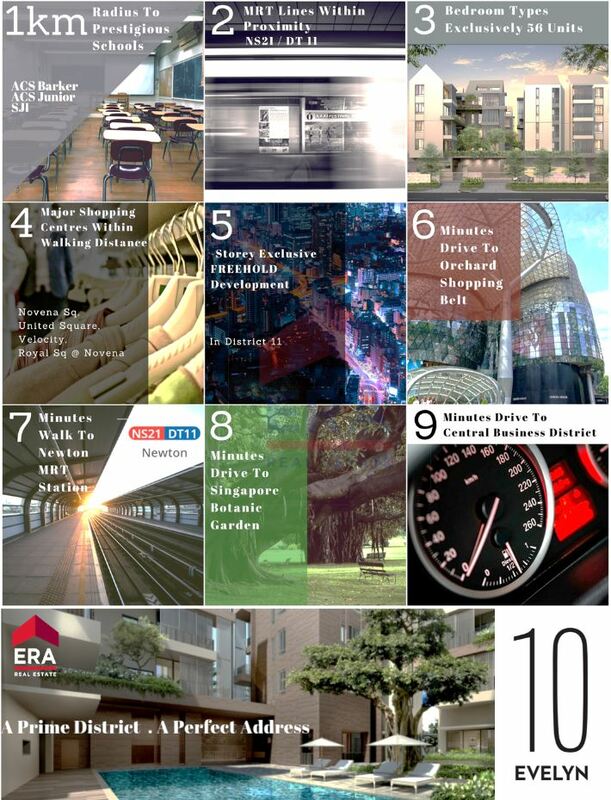 The Newton (DT11/NS21) MRT station of Downtown Line / North South Line is just about 8 minutes' walk away from 10 Evelyn. 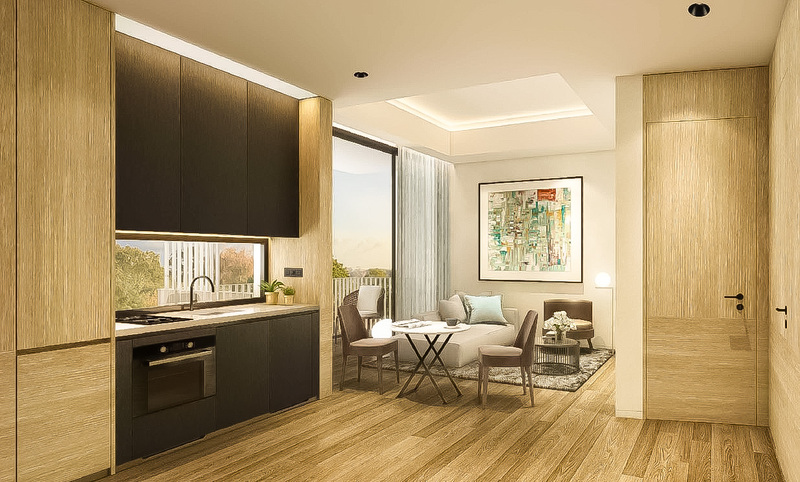 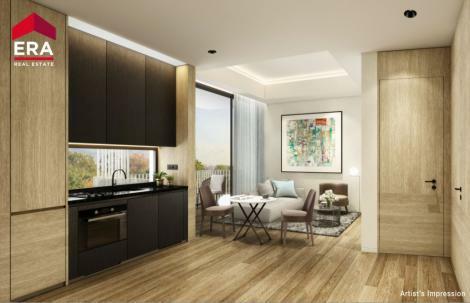 The condo is accessible at Evelyn Road from Newton Rd with easy connection toward the Central Expressway (CTE) via Bukit Timah Road at the Newton Flyover.